But Viz showed up after all, represented by Eric Searleman, the senior editor that was working with Marc Weidenbaum (the aforementioned VP) on the original publishing line. So it seems that the venture hasn’t quite died yet. It’s worth noting though, that while Viz’s website declares that they aren’t accepting unsolicited submissions, they don’t say that the original comics program is dead or on any kind of hiatus. It’s also worth noting that several days after the announcement that Weidenbaum had left Viz, there was a post on Viz’s official blog directed towards original creators, suggesting that they still had plans to accept submissions eventually, even if things might be significantly delayed with Weidenbaum’s departure. The panel discussion covered some pretty general topics, mostly aimed towards artists and writers trying to break into the industry. Mr. Searleman was relatively quiet compared to the rest of the lot, but seemed much more optimistic on subjects like the economy and pitching projects to companies. Some worthy tidbits include his mentioning that any project pitched to Viz should expect to go through heavy editorial input and that women seemed to represent a majority of those attracted to manga. The entire panel was supposedly recorded and should be featured on Monday’s scheduled podcast at SEQALAB, if anyone’s interested. What interested me the most about the entire panel though was, and the belatedly-introduced, actual topic of this post is, a question someone asked at the end of the panel, in conjunction with something else Mr. Searleman said earlier. Is Viz specifically looking for projects in the “manga style”? Like some, I would would prefer “manga” to be a word synonymous with “comics,” but the general population does not treat it as such, so it isn’t so. But both the person who asked the question and Mr. Searleman seemed to agree that it doesn’t really matter what style something is in as long as it can tell a good story, and Viz is out to “publish good stories.” Presumably, this translates to, “No, Viz is not only specifically looking for manga-styled pitches,” but I have to wonder if that’s a good or bad thing, marketing-wise. I have always disagreed with those who have labeled American artists drawing in a perceived anime/manga style to be wannabes or rip-offs. The only weakness comes when artists take no interest in studying reality and base all of their stylistic choices off of pre-existing ones. But that isn’t an exclusively American (or otherwise non-Japanese) weakness. Young Japanese artists who surround themselves with manga undoubtedly go through the same steps — they mimic what’s around them. American artists who surround themselves with the same manga are really no different. Similarly, artists of whatever origin who surround themselves with Western comics will mimic the styles that they see and read and admire. If you label one set of them wannabes or rip-offs, you’ll have to label all of them wannabes and rip-offs, but without them, there would never be a new generation of artists. Viz publishes manga. If Viz is to finally venture into original comics, everyone will expect that they end up publishing “manga-styled” original comics. Mr. Searleman said so himself, but as previously stated, he also mentioned being interested in any good story. I wonder what would happen if Viz actually published an original comic that was vastly, vastly different from what people would expect from “manga”? What if Viz published something that looked really American indie? Or even American superhero? It’s easy to say that people will want to read anything that has a good story, but it’s hard to deny that for comics — art is a huge factor and always serves as the first impression. I would like to think that most people are drawn to manga for the stories more than the art, but it is always interesting to see just how big the divide sometimes is between manga fans and Western comic fans. If the stories are equally good, why the hate? Each side stereotypes the other. The stories on the other side aren’t better, they say. The former only see the repetitive and continuously retconned superheros and the latter only see the androgynous gay boys and lolicon. Or something. Viz is a powerful brand within the community; would people be confused or put off to see a Jack Kirby or even Adam Hughes-esque cover on something with Viz’s label on the spine? Would they be shocked and appalled if Viz published a superhero story? A good superhero story, perhaps, but a superhero story all the same? Breaking down the barrier! Bridging and crossing the divide! Say it ain’t so! Then again, Dark Horse publishes a good amount of both already, and almost all Western comic book publishers at this point have tapped into the “manga-style” in some way. Those announcements all seem to be met with derision and scorn, but I don’t know a damn thing about the sales on say, the shounen Wolverine or freaky shoujo X-Men manga. Do these things actually work? Are people actually buying these titles because the art drew them to it? Or are all these companies’ various marketing departments retarded? If these adaptations are actually selling, would the reverse work? Would seeing an Western-style comic published by a manga publisher attract fans from the other side? Or would such a venture attract the same kind of derision and scorn? Or is it all a moot point because no one that draws in such a Western style would approach Viz in the first place? Students had to sign up beforehand to meet with their editor of choice on Friday. Reading over the list, every name that I recognized was someone that had a decidedly “manga” style, myself included. Professors seem to like to say that the top reason project pitches are rejected is because the style of the pitch does not match the style of the company it’s being pitched to. They tell us that Marvel would not look to hire someone with an indie style and that DC would not look to hire someone with a manga style. 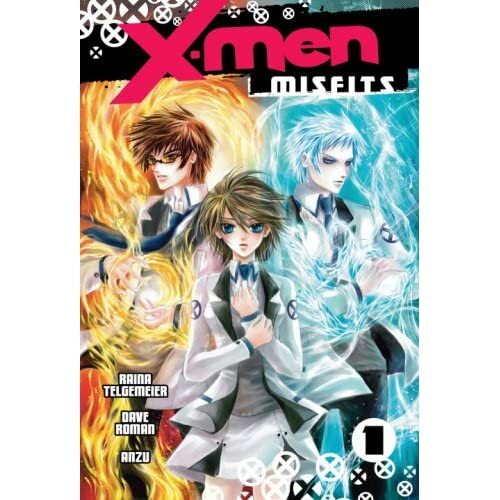 Those mantras may or may not be true (was all the X-Men manga pitched by an outside newbie? ), but it might be enough to keep students away from companies that don’t traditionally publish things in their style. The barriers have been breaking down, but it might not really matter when you’re just breaking in. I just want their ‘heavy editorial input’ cause thats what i’ve heard was the major problem with tp’s oel line. I know I dont know everything so please help me out? as for the xmen thing, i’m just not a fan of super heros unless its magical girls. even then, I dislike the moe style too much to pick up magical girls in that style. ‘read that way’. A lot of coloring is really to distracting to me but i love seeing pre colored pages. As for the manga style xmen… Ive flipped through another comic she did and saw the preview of her web comic, I dont think i’ll pick up any comic done by her untill she learns to be more clean. She’s an awesome illustrator but I cant understand her pages at all. My biggest thing about oel in general is that we’re not used to BW just yet. I hate how a lot of them tone, and some I would rather see in simple colors. back to topic, I would assume viz would just make another line like CMX? if the style is really different. Hmm, it’s interesting that you’d want their “heavy editorial input” because you’ve heard TP doesn’t offer as much? One of the OEL artists I know at TP seems to really, really hate how much of a hand TP has had in her series and whatever potential future work she might do for the company (ie, they really want her to draw more shoujo, but she would love to do a shounen series). I also find color distracting in many Western comics, but it’s not that jarring after you read through a few. But yeah, the plain inks for a lot of them are beautiful before color. I would love to see more comics in general stay in plain inks, no color, no tones. I find both tedious to do, and so many pages look fine without them. That seems to be the style of more Western indie stuff, but there are smaller companies that are putting out manga-style things, so who knows? Maybe it’ll catch on. If Viz is already so iffy about their original manga line, I don’t really envision them creating another line for a different style; to some extent, it splits their brand and also kind of goes against the idea of just publishing good stories. If they’re all good stories, why the need to differentiate? I’m surprised Yen wasnt there.